Thanks to this weekend's heat wave, many of us are now on a frantic sandal hunt. If you are yet to have any success on your shopping mission, as ever, we're here to cut out hours of trawling the internet to find you the perfect pair. We've put together the ultimate shortlist of the sandals that will see you through the entire summer. After a tea break debate in the Who What Wear office, our fashion editors decided that there are five key styles of sandals that will see you through every summer event going. 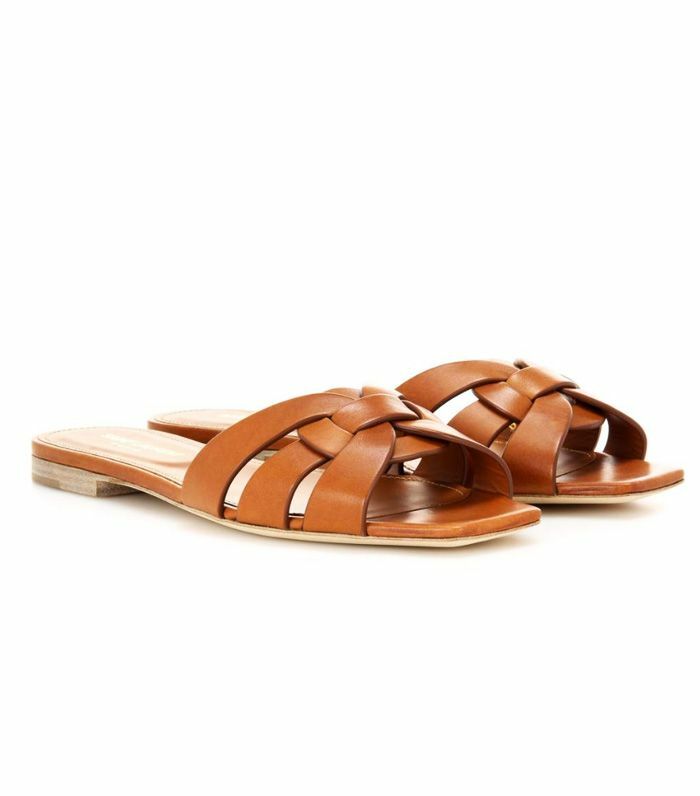 First up, we have the minimal city-appropriate leather sandal, followed by the practical chunky style, which will work for coastal walks or a day of intense sight-seeing. Then on the other end of the sandals spectrum, we have the ultimate wedding guest shoe—block heel sandals—and summer fashion sandals. Last but not least, we have the holiday sandal made for shuffling between the pool and the beach. Scroll below to shop our edit of the five sandals that will see you through the entire summer. Lucy Williams has this pair. If you're not on a budget, these are a winner. These Mango sandals will go with everything you own. ATP Atelier's sandals are seriously chic. When it comes to comfort, you can't beat Ancient Greeks. Yep, the toe ring is back. Everything Boyy always sells out instantly, so move fast to get these slip-ons. These Joseph sandals are one of this summer's standout styles. We can't deny the power of a classic. An update on the basic black sandal. These Mango satin sliders also come in lilac. When it comes to suede mules, you can't beat Mansur Gavriels. Leather mules are still big news this summer. You might have noticed fringed slip-on sandals are all over the high street this summer. The gingham print is super cute. These are the perfect everyday sandals. White strappy sandals are one of the biggest sandal trends this summer, so of course, Zara is all over it. Well done, Miu Miu, on creating the dream shoe. These are the perfect wedding guest sandals. Our editors think Uterque sandals are the comfiest. The embellishment on these sandals make these the perfect summer party shoe. Every fashion blogger we can think of has been wearing these rope sandals. These are just waiting to hit the sand. These are the only shoes you'll need for a beach holiday. Soludos is the ultimate brand for holiday shoes. Next up, read our guide to the key sandal trends of 2017.